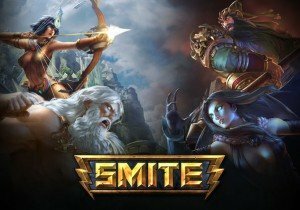 New skin and minor balance tweak patch notes have just been revealed for Hirez Studios third person pantheon driven MOBA, SMITE! While the balance changes are minor and conservative, some serious heat is coming in the patch notes: namely the Sol mastery skins and Season 2 Epsilon champion skin! Check the gallery below for some preview shots and art! In terms of balance changes, Amaterasu receives a decent nerf to the base damage on her Heavenly Reflection. Chiron sees more substantial nerfs as his Herbal Medicine no longer heals him for 10% each stack. On top of it, his Training Exercise no longer cripples. Isis sees a minor tweak in her Dispel Magic getting the slow reduced to 20%. Ravana players will need to think more carefully on their feet as Prana Onslaught gets a 2 second cooldown increase, and Overhead Kick sees major cooldown increases, especially with level 1 being upped to a whopping 20 seconds. Sol‘s Disapparate will no longer stun at the ending detonation, plus her Supernova shines brighter, giving enemy players more warning of the exact spots her light is shining down upon. Ullr sees some potentially dangerous buffs in the form of a mana reduction on bladed arrow, as well as the ability to swap stances during Expose Weakness, though its cooldown is upped to 18 seconds to compensate this massive buff. Breastplate of Valor and Bulwark of Hope get slight pats with the nerf bat. Breastplate now costs 200 more gold, while Bulwark’s shield is toned down and given a 20 second fade. Imperial Helmet dropped 100 gold in price to give early game mages an option to go tanky early. New player quests arrive to more organically introduce new players into various elements of the game. Also intermediate bots have arrived, 23 in total, which Hirez Pon Pon claims are on par with silver ranked players. That’s a lofty claim! We’ll find out in PTS soon enough. For full patch notes check out the official page here. RuneScape Classic was first released back in 2001, but in August of 2018, it will be time to say goodbye to Classic Runescape forever.